VGR driver Paul McDonald experienced a frightening near miss at the level crossing near Maldon on Saturday. The Victorian Goldfields Railway Murder on the Orient Express movie train gave passengers more than they bargained for when the train was involved in a near miss last Saturday night. The movie was being screened as the train travelled from Castlemaine and was nearing Maldon at 8.50pm when a car sped through the level crossing on the Bendigo-Maldon Road, narrowly missing the train. Andrew Reynolds from VGR said the incident was possibly the closest near-miss ever encountered at this dangerous crossing. “This is probably now the most dangerous unprotected level crossing remaining in Victoria. 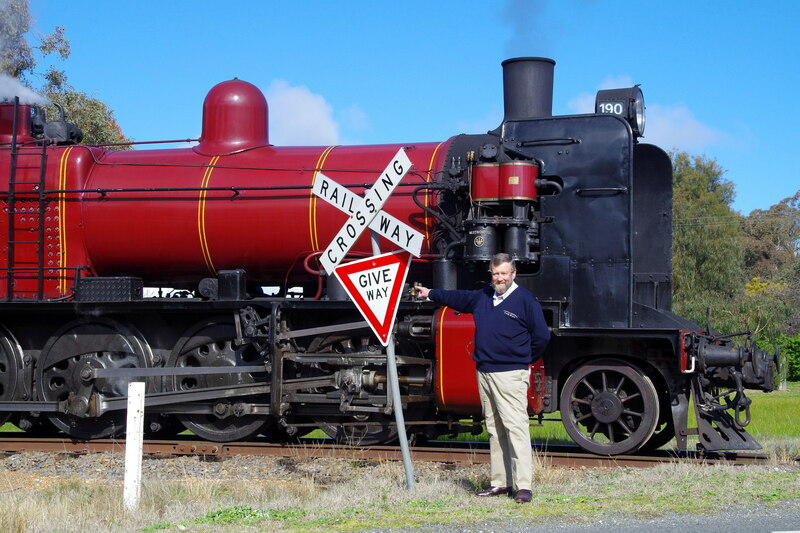 Not only are motorists placing themselves at risk but also the priceless heritage trains used on the Victorian Goldfields Railway,” Mr Reynolds said. “Because of the angled crossing and vegetation on private property, visibility of trains from Castlemaine is very poor. So as well as motorists deliberately trying to race the train over the crossing, there are those who simply do not see the train until the last minute. Mr Reynolds said VGR had lobbied for many years to get active protection of flashing lights and boom barriers installed at the crossing. “Will it take a serious crash before something is done?” he said. Paul McDonald, who was driving the VGR train last Saturday night, said it was frightening. “As the train was approaching that level crossing, both my fireman and myself were keeping a close eye lookout for any approaching cars. As we got near the crossing there was no sign of a vehicle approaching until right at the last minute,” Mr McDonald said. Mr McDonald said more safety protection at this particular level crossing was needed urgently. “In addition to the fact that the VGR is now running more trains than ever before, and that they can be running on any day of the week and sometimes until quite late at night, we’re also having to contend with, I believe, a much greater volume of road traffic,” Mr McDonald said. A Public Transport Victoria spokesperson said a number of factors were used to determine how level crossings were prioritised for upgrades, including additional safety measures such as boom barriers and flashing lights. 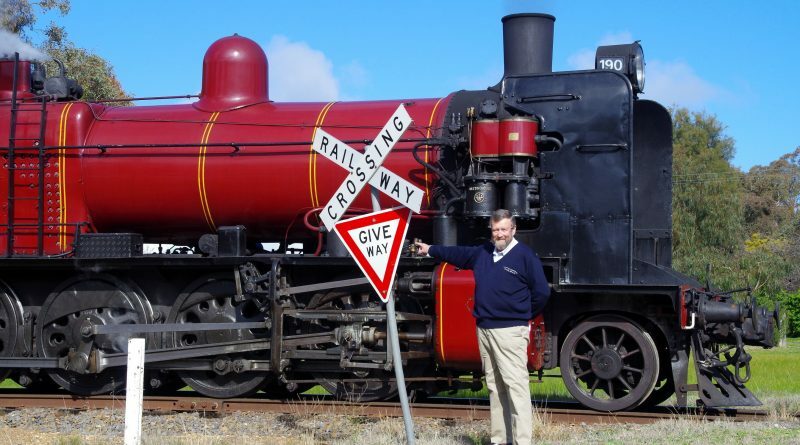 “PTV is aware of Victorian Goldfields Railway’s concerns which are being addressed through the appropriate level crossing decision-making and delivery bodies,” the spokesperson said. 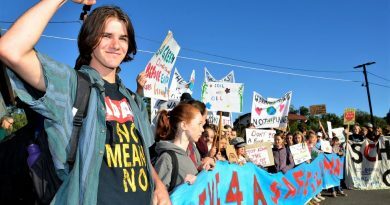 Hundreds of Castlemaine students joined Friday's School Climate Strike in Melbourne CBD. They are pictured here just before leaving Castlemaine station. 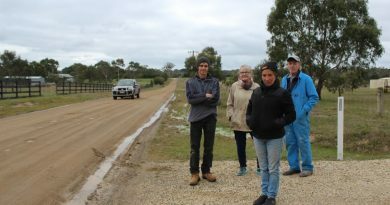 (L to R): Steven Wilson, Jenny Stubbs, Trish Harris and Alan Smith are pictured beside the unsealed section of Batters Lane. In the summer, traffic sends a constant stream of dust across their properties. 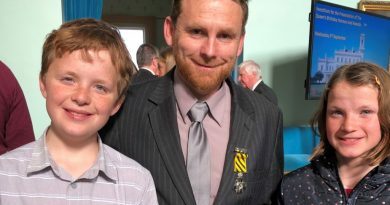 Newstead publican Trevor Mitchell is pictured with his Conspicuous Service Cross and his children Tom and Claire at Government House on September 5.